Brief Description: The Sentinels are back and they have a mission to find and capture every mutant there is! Will Larry Trask be able to control them? 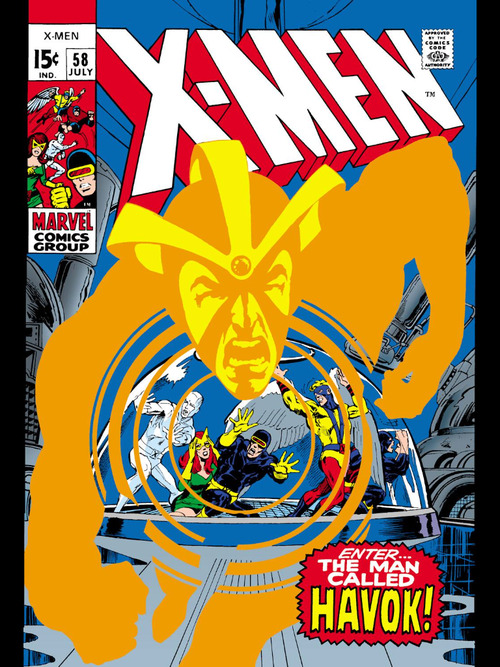 This issue begins with the Sentinels attacking Iceman and Beast at Lorna’s apartment. This time around the Sentinels are even more powerful than before and are able to adapt to the X-Men’s powers. They are agile like the Beast and can easily melt Iceman’s ice with steam. 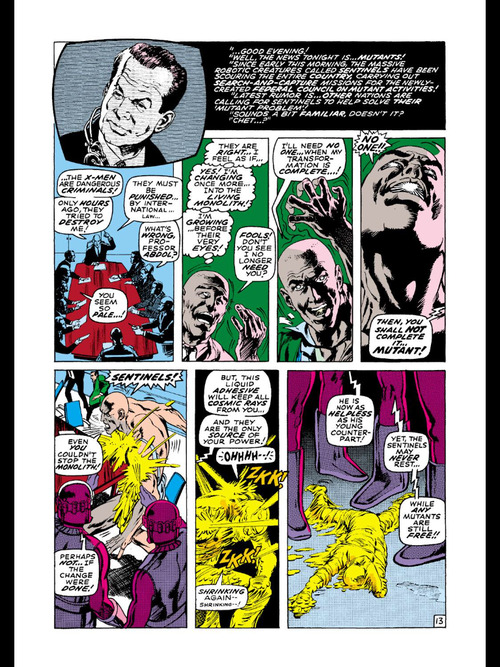 As the two X-Men battle the Sentinels we see panels where Larry Trask is on TV telling the American public why mutants are menaces and why the Sentinels are necessary to save humanity. 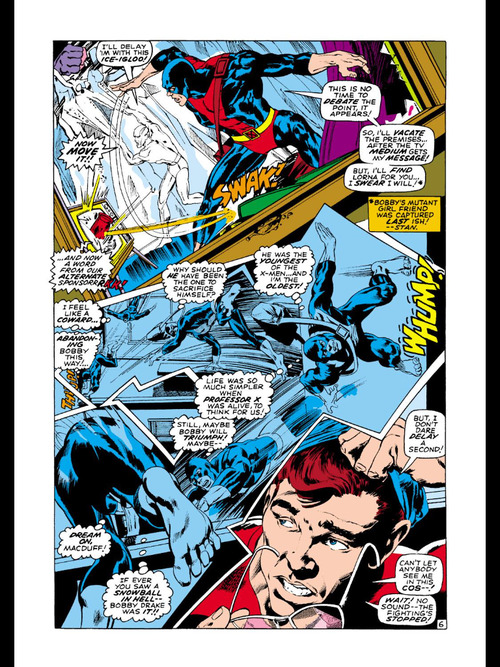 As Bobby and Hank begin to lose the battle Iceman tells Beast to escape while Iceman holds off the Sentinels. The Sentinels then take Bobby prisoner. Angered by Bobby’s capture, Angel declares that he must fly back to America immediately and try to stop the Sentinels. Cyclops commands him to wait until they can all go together in a jet, but Angel leaves anyway. 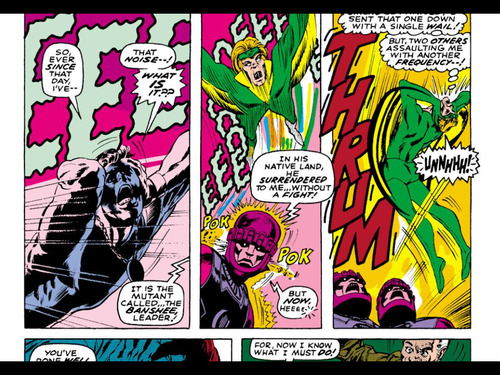 At the Sentinels’ headquarters, bobby finds Havok and Polaris are prisoners there as well. 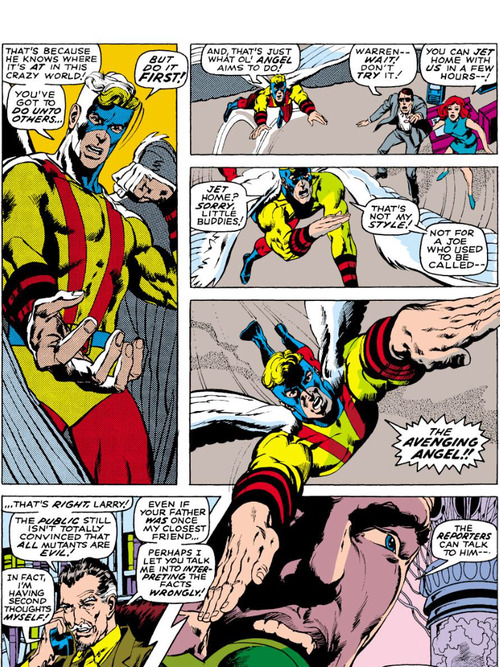 Bobby berates Alex for making a deal with Larry Trask, but there argument is interrupted when a Sentinel comes to take Polaris away. 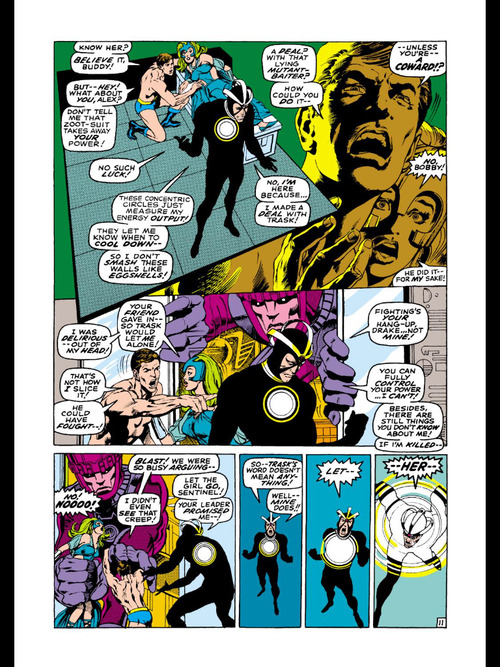 Angry that Trask did not follow through on his promise to keep Polaris safe, Havok attacks the Sentinel but is stopped when Trask shoots him with a power-suppressing ray. After this scene, we are shown a montage of the Sentinels taking mutants prisoner. 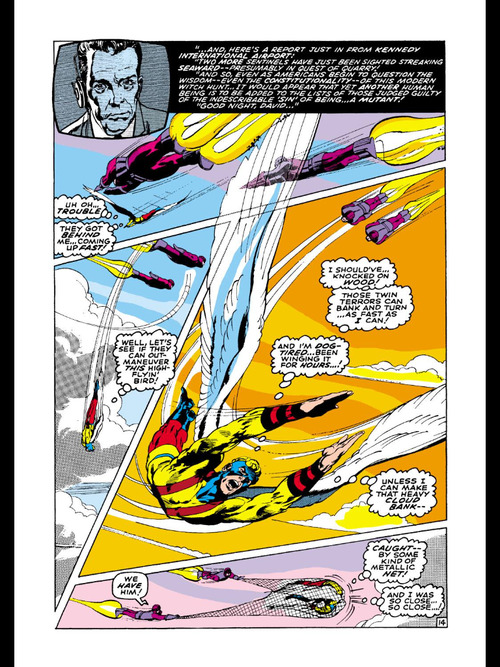 As Havok loses his powers from Trask’s ray, the Living Pharaoh regains his powers but is quickly captured by Sentinels. Angel is then also captured. 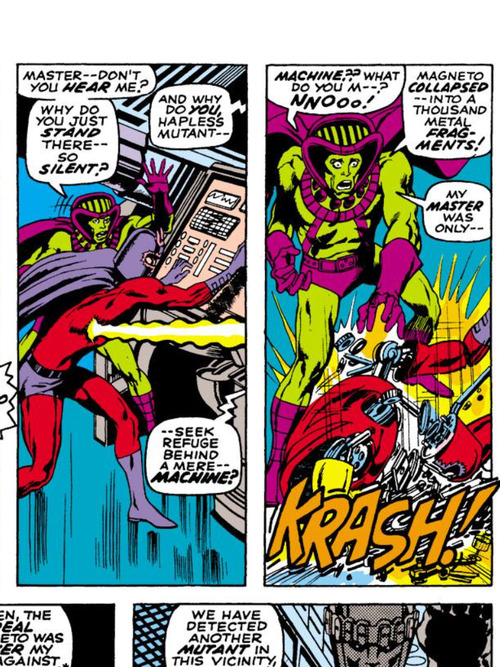 And finally the Sentinels arrive at Magneto’s base and capture Mesmero, but it is revealed that Magneto is actually a robot. Back at Trask’s headquarters, Trask argues with his father’s old judge friend who think that that Trask is taking things too far with the Sentinels. The judge thinks that Trask is being inhumane with the mutants. Their argument is interrupted when Banshee comes into their base and tries to attack them. However Banshee also falls victim to the Sentinels. When Trask orders the Sentinels to kill all of the mutants, the judge turns on trask and punches him in the face and takes away Trask’s medallion. 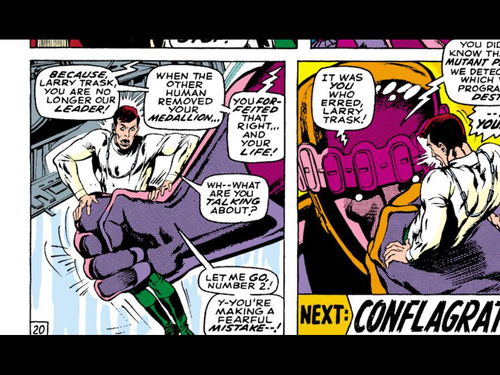 The Sentinels then take Trask prisoner and reveal that Trask himself is actually a mutant. This was a great issue. I really loved watching the Sentinels capture mutants. They seem really powerful and awesome in this issue. I also really liked Larry Trask in this issue. Even though he has a really lame name (Especially compared to his father’s awesome name), he is still a great character. His anti mutant speeches are perfect. Trask becomes a villain in the way that many other villains are born. He mistakenly believes that his father was killed by the X-Men so he vows to destroy them. It is a common superhero trope but I still enjoyed the dramatic irony. Even though it is absolutely insane that Magneto was a robot, I still thought it was great. It is a hysterical example of a crazy silver age storyline. My only issue with this issue is Havok’s costume. Why did Trask give him a costume? And why would Trask give Havok a costume that helps him with his powers? The writers definitely just wanted to give Havok a costume so they just through it in this issue. That’s just a very minor problem though. I thoroughly enjoyed this issue. 1. I loved the return of the Avenging Angel. 2. 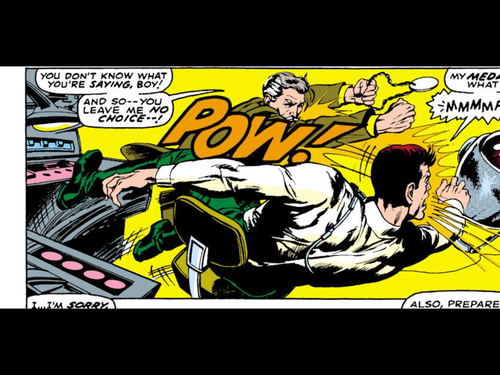 I also loved when the judge punched Trask. This was a good issue. 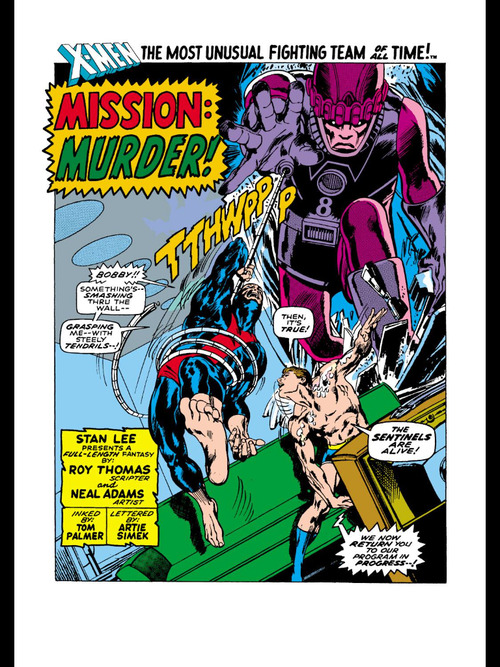 Thomas was doing some fine writing, and Neal Adams killed it on the art. Yeah it was an all around enjoyable issue. Yeah Angel is the worst. Arrogant while also being not very powerful. Well, if Havok can’t control his powers and the suit helps, even Trask would see the value in not allowing the chaos and havoc (sorry, couldn’t resist!) from Havok going out of control. After all, despite the fact that they are opposed and enemies, it is not a zero-sum game; Trask doesn’t want the whole world being destroyed any more than Havok does. It is relatively seldom that Magneto is impersonated by a robot. Dr. Doom, on the other hand, does it all the time; after all, he looks pretty robotic himself. Being a robot is almost against the whole idea of Magneto; he is for Homo Superior, mutant humanity over normal humanity and certainly over robots. Which is what makes the Sentinels, and later, Nimrod, such natural enemies for mutants. By the way, what kind of substance can block cosmic rays? We certainly don’t have any like that yet! And Nick Fury is almost always a robot as well as we find out in the new Original Sin series. And yeah definitely a bit of a stretch with the cosmic rays, but I guess a lot of the X-Men needs you to suspend your belief a bit. Oh, yeah, the famous (overused!) SHIELD Life Model Decoys! I love the trope in which the villains are revealed to be what they hate. In God Loves, Man Kills one of the Purifiers turns out to be a mutant. I was surprised to find that All-New X-Men #20-21 brought back Jason Stryker (William Stryker’s son, who he killed in God Loves, Man Kills, but who was apparently retconned alive) as a mutant who hates mutants. These villainous characters should really get the hint that being anti-mutant is the #1 way to end up having a mutant kid. I had kind of wish Duncan Matthews had turned out to be a mutant. haha very true. It really does seem like every mutant hater has a mutant kid.